If you are a Washington news junkie, like I am, you’ve noticed the hearings for Supreme Court nominee Judge Neil Gorsuch are in process. The nominee has been peppered with questions trying to ascertain how he will interpret the Constitution, what his views are, and how he might rule on a variety of hypothetical cases. Always there is a discussion of litmus test issues: the big ones being gun control for one side and abortion for the other. Never do judges actually say how they would rule on such cases – Oh well, golly gee, I sure do hate guns and their propensity to kill innocent people or well shucks, I think if a girl gets herself knocked up she’s gotta face the consequences – but always the wily congressmen try to get a nominee to admit that he/she will take their guns away or eliminate a woman’s right to choice. Recently I realized I have my own litmus test. During my writing class the teacher uncapped a whiteboard marker and began taking notes for the class. The marker squeaked, but no words appeared on the board. That’s when the defining moment happened. My instructor put the cap back on the pen and…. THREW IT AWAY. “It’s not like it’s magically going to regenerate ink if you keep it.” I said. So that’s it. My new test. 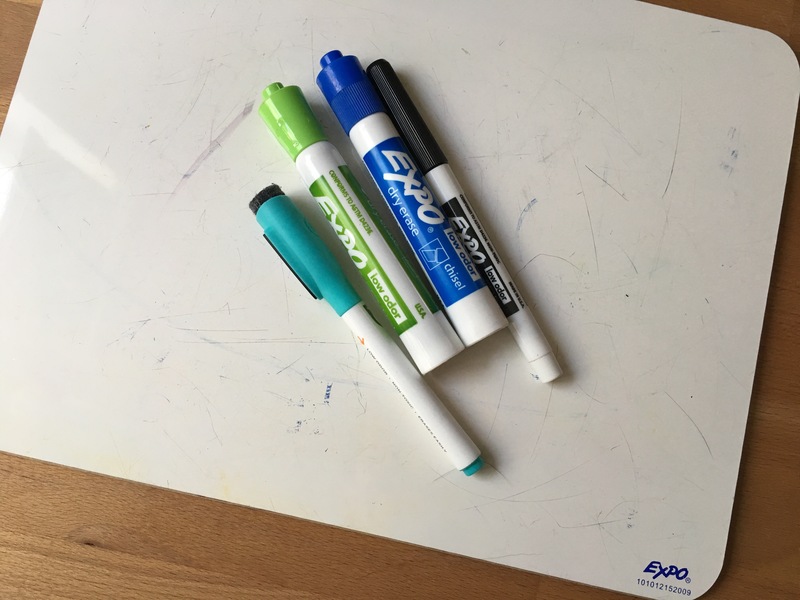 If you get up to a whiteboard, find a marker that doesn’t work, then just leave it in the marker tray for the next real grown up to deal with, well, you are dead to me. That’s it. I’ve drawn my own personal line in the sand. Don’t be a dried up marker keeper. Don’t be that guy. Gaaahh!!! Don’t forget the ink pens. I hate trying to sigh something and the pen is dead! Throw it away or replace the well. Is it a Bic or a Montblanc? Yes. Non functioning pens should also be handled in an adult-like manner, along with pencils with hard dried-up smudge producing erasers. Agreed. I have no patience for markers/pens that don’t write. I throw them straight into the trash. When I was working in an office and was responsible for ordering the supplies, I had a similar litmus test. Given the opportunity, people would open a NEW box of something, rather than finishing an opened package of pens, postits, or whatever. Same with the 2 coffee pots in the break room. People were more likely to take a cup out of the full pot, rather than the one that had been already drawn from for a cup or two – as if it were somehow tainted by being used. And this would be first thing in the morning, so it wasn’t as if the offending pot had bit sitting there all day. I have to admit I am not a grown up when it comes to potato chips and other salty snacks. For those, I want the freshest most delicious crunch. However, when it comes to office supplies, I’m happy to turn a tabbed folder inside out and reuse it or use lost binder clips from the bottom of the drawer. I love your comment. Thanks! Oh food is different! Absolutely want the freshest chips! Hey – gotta have priorities! I’m not good at the using paper that’s already printed on one side, mostly because of duplex printing everywhere. These new fangled printers make it so when you accidentally print something it’s just all wasted paper. Uh…fountain pen ink is expensive. Who knew? Me, I’m a good old pencil aficionado, and love using them down to little pencil stubs. Oh yeah! Does it count if it was an accidental metaphor?